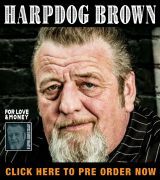 Stripped down, basic blues delivered live by one of the top harp players in the world. What is not to like here? Charlie is joined by Matt Stubbs on guitar, June Core on drums and with Mike Phillips playing bass an the four provide us some great blues done up right. They open with a quintet of traditional blues songs that get the crowd whipped into a frenzy Eddie Taylor’s “Bad Boy,” Shakey Jake’ “Roll Your Money Maker,” Ton Joe White’s “As the Crow Flies,” Billy Boy Arnold’s “Gone Too Long” and Little Walter’s “It Aint Right” start us on a path of exciting blues. Charlie growls out on the opening track and lays down some heavy harp. But Stubbs big guitar solo is also right up there. He again is huge on “Money Maker,” another solid solo. Musselwhite and Stubbs trade solos beautifully back and forth on “Crow Flies,” taking us on a wild ride. The Billy Boy Arnold cut is also sweet and then they go for another wild ride on “It Ain’t Right”- wow! The next five tracks are all Musselwhite songs. “Strange Land” throbs as Charlie lays out grit on vocals and then dirties it up some more on harp. Stubbs is more than ample in support, too. “Blues Overtook Me” takes it down a notch or so in tempo and Musselwhite blows some mean harp for us. “River Hip Mama” is a rollicking good time. Matthew trades off the solo from Charlie and it’s another hot cut to enjoy. “Blues Why Do You Worry Me?” follows and is another solid effort across the board. 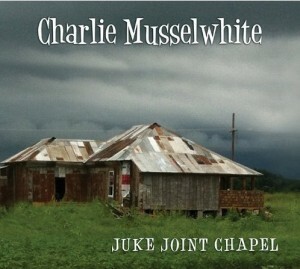 “Feel It In Your Heart” concludes the Musselwhite songs and Charlie croons to us about the feeling of music. The band switches gears with “I’m Going Home;” Charlie howls out the vocals and then blows out a nice harp solo. Stubbs takes an extended solo and delivers the goods, too. Done in a syncopated “forro” style, it’s cool. They conclude with the somber Duke Pearson song “Christo Redentor.” I think the most ardent atheist might convert after Charlie’s ardent harp work here in this instrumental where Charlie’s harp testifies to a greater power. Inspired by the statue overlooking the Rio De Janiero harbor, Charlie’s signature song is so well done here that it made the hair on my arms stand up. I repeat, what is there here not to like? Absolutely nothing! This is a great effort. 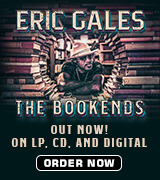 I could say more, but let it suffice to say you need to get this CD. I close with some of Charlie’s words, “The blues sounded like how I felt growing up. Too many people think of the blues as sad, but I think many of these tunes will immediately dispel that notion, as they are fun, dancing tunes that lift your spirits. I often tell people that the blues is your buddy in good times and your comforter in bad times. It empowers you to keep going. It is secular spiritual music, the gospel blues. It’s music from the heart instead of the head.” Amen, Charlie.